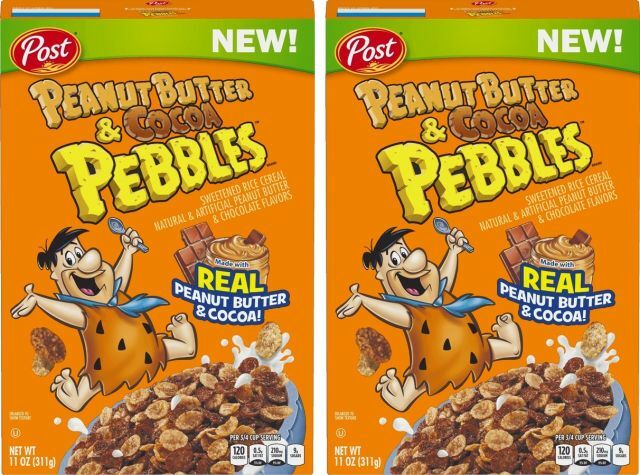 Post expands their cereal line up with the nationwide arrival of new Peanut Butter & Cocoa Pebbles cereal. The new flavor features crispy rice cereal made with peanut butter and cocoa as wells natural and artificial peanut butter and chocolate flavors. While much of the Pebbles cereal line is gluten-free, Peanut Butter & Cocoa Pebbles are not although it's not immediately clear why when you look at the ingredients.